After the death of his parents, Jim is sent to live with his grandparents on the Nebraska plains. By chance on that same train is a bright-eyed girl, Antonia, who will become his neighbor and lifelong friend. Her family has emigrated from Bohemia to start a new life farming but soon lose their money and must work hard just to survive. 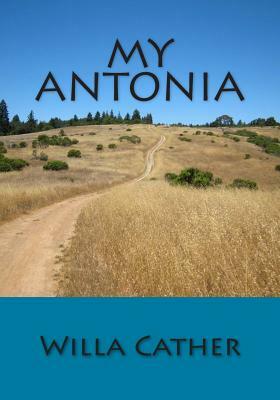 Through it all, Antonia retains her natural pride and free spirit. Jim's grandparents have a large and tidy farm. They are kind to him, but conventional We are delighted to publish this classic book as part of our extensive Classic Library collection. Many of the books in our collection have been out of print for decades, and therefore have not been accessible to the general public. The aim of our publishing program is to facilitate rapid access to this vast reservoir of literature, and our view is that this is a significant literary work, which deserves to be brought back into print after many decades. The contents of the vast majority of titles in the Classic Library have been scanned from the original works. To ensure a high quality product, each title has been meticulously hand curated by our staff. Our philosophy has been guided by a desire to provide the reader with a book that is as close as possible to ownership of the original work. We hope that you will enjoy this wonderful classic work, and that for you it becomes an enriching experience.